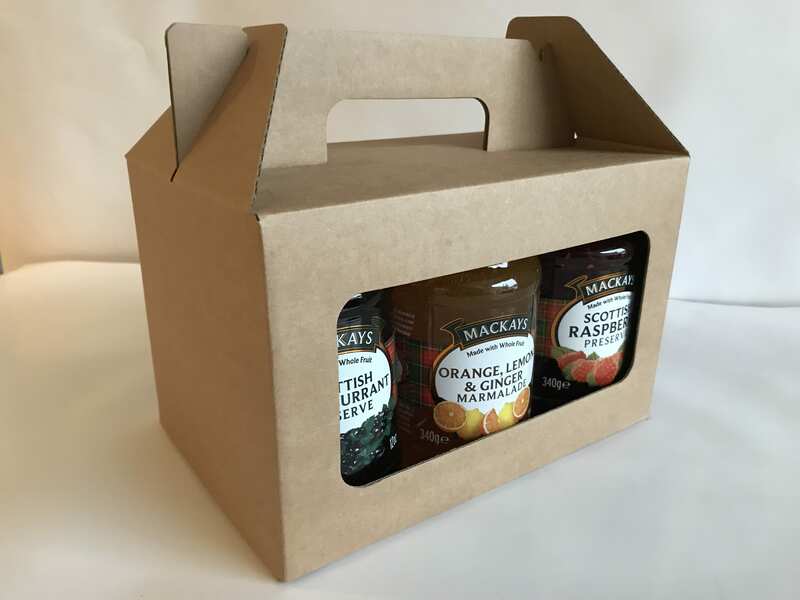 We have gift packaging suitable for Jams, Preserves, Chutney or Sauce. Our 350g Jam Boxes are available in 2, 3, 4 & 6 pack options. A smaller pack suitable for 200g to 250g Jars is currently under development. If you’d like to apply your own labels or design, download the flatplan of the box and then upload your design when you’re happy. A minimum order applies to custom designs.